Lowly paid Community Employment jobs to lessen widespread North West unemployment figure. 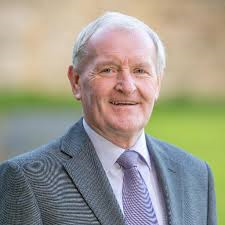 Local Fine Gael TD Tony McLoughlin is welcoming a change in the Community Employment schemes. The Social Welfare funded projects are designed to help the country’s army of unemployed and disadvantaged people to get back to work. However, jobs available under the schemes are only part-time and temporary placements based within local communities. McLoughlin notes what he says is Central Statistics data showing that, since 2012, the Live Register has dropped by 30.8% in Sligo and 36.8% in Leitrim. This of course does not show the level of unemployment in the region. The Central Statistics Office states that Live Register is used for no more than to provide a monthly series of the numbers of people registering for Jobseekers Benefit or Jobseekers Allowance or for various other statutory entitlements at local offices of the Department of Social Protection. Community Employment Schemes, which cost millions of euros, are essentially lowly paid occupations where unemployed are taken on to carry out local services on the cheap. And, now, the sensation of the year. Sligo County Council has reportedly announced a spectacular turnaround in its financial performance. 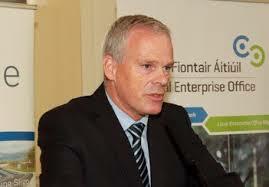 According to CEO, Ciaran Hayes the authority has converted what was a €23 million deficit over a seven year period into a €2.8 million surplus between 2015 and 2016. Fantastic! Whoops of delight from councillors! And the formula for the extraordinary transformation from ‘basket case’ council to vibrant service provider? A reduction in staff levels and other severe cost cutting, says Hayes.